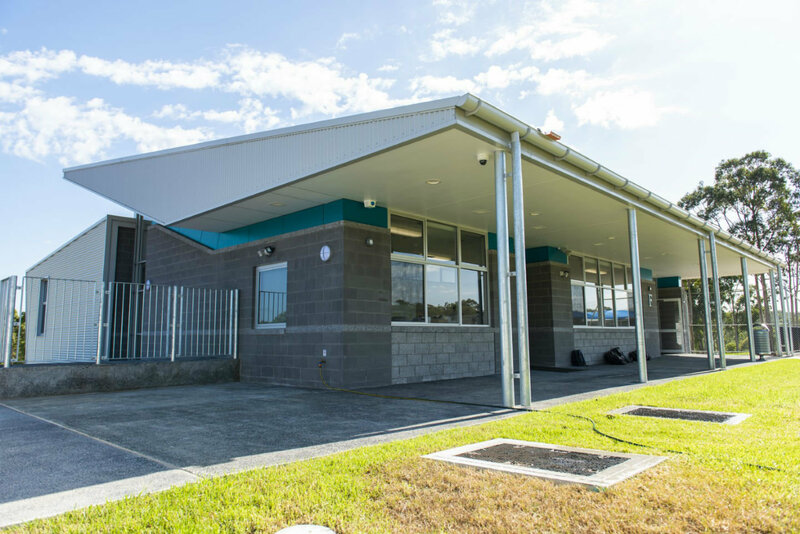 The Official Opening of our new buildings was held on 11 March and was a great occasion. Bishop Peter and Bishop Charlie both addressed the assembly and we gave thanks to God for the wonderful facilities our school has. 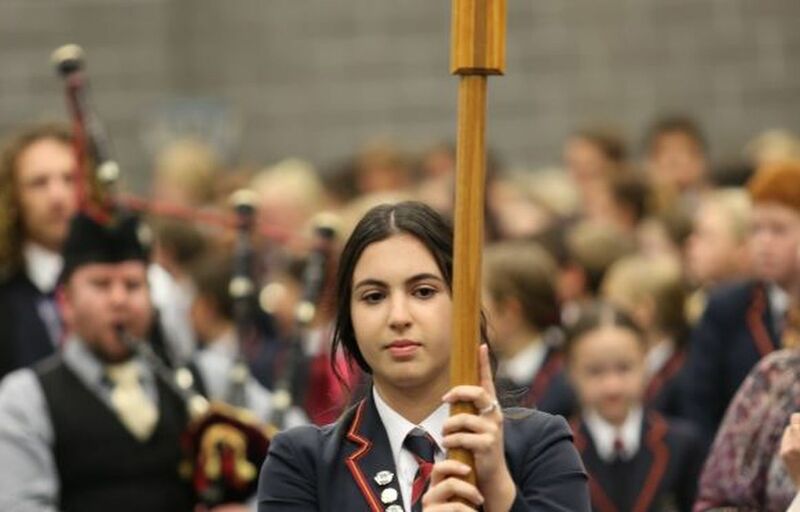 The member for Dobell, Emma McBride also gave an address in which she encouraged girls in particular to recognise their talents in the STEM fields, in which women are still under-represented. Emma’s speech impressed her hearers greatly. 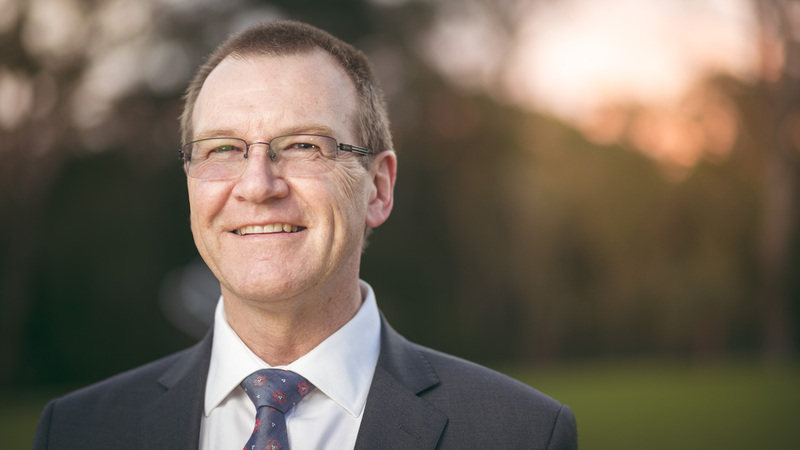 The member for Wyong, David Harris also attended and enjoyed using the robotics that some students were demonstrating in the Junior School STEM centre. We also had some good publicity via the NBN news, radio and newspaper. Tracy and Mel are continuing the roles they have held for some time and we are grateful for their continued work for the P&F. We thank Bronwyn and Jenni for their willingness to contribute to the P&F in these ways. The P&F expressed its gratitude to the outgoing Vice President, Adele Flower and the outgoing Secretary, Lana Brown, for their commitment to the P&F through their work in those roles. The information night for Year 7 2020 was well attended by current and new families. I am grateful for the students who gave their time to demonstrate their learning in several areas, particularly in Food Technology, Visual Arts and robotics; and to the senior students who led the guided tours following the presentation. If your child is in Year 6 but you were not able to be there, you could join one of our tours in Term 2 or 3. Just sign up via the school website. 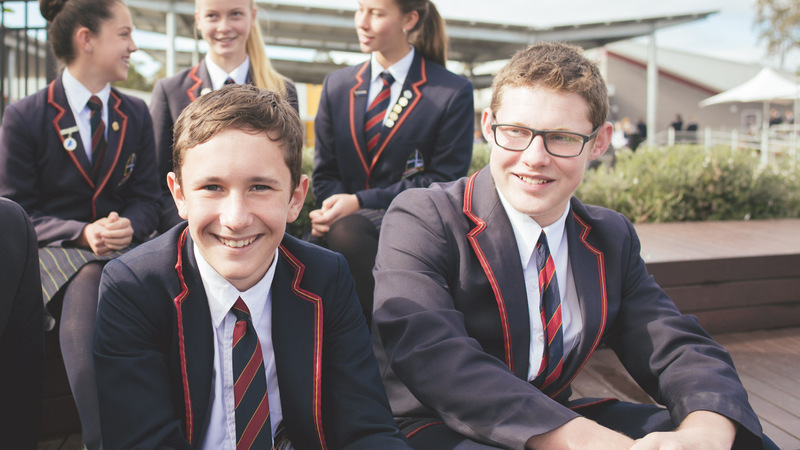 If you wish to enrol for Year 7 a sibling of a current student, please complete an application form online via our school website. Last Friday our school joined in this day with a range of activities in both Junior and Senior Schools. Ask your children about what they did and what they thought of it. You can read our Anti-Bullying Policy on Parent Lounge. I remind you that at Lakes Grammar we do not tolerate bullying. If bullying is reported to us we will investigate the alleged incident and take action as appropriate. Oftentimes, after investigation, the incident is not as clear cut as it may at first appear. This sometimes results in disagreement between parents and the school about what should happen. I ask you to accept that we investigate impartially any allegation of bullying and come to a conclusion based on a balance of all the evidence obtained. Bullying is disgusting and any student found to have been bullying will face consequences. Depending on the situation, consequences could be as simple as an apology and a promise not to do it again; in more serious cases, consequences will involve discipline. Listencalmly and get the full story. Your calm response is important to allow your child to tell you all about the situation. After they’ve told you their story, ask questions to get more details if you need: who, what, where, when. Although you may feel some strong emotions about your child’s experience, try to keep calm to avoid more distress to your child. Reassureyour child they are not to blame. Many children blame themselves and this may make them feel even worse. You could say things like, ‘That sounds really hard to deal with. No one should have to put up with that.’ or ‘I’m so glad you told me. You should be able to feel safe at school; that’s not fair at all’. Askyour child what they want to do and what they want you to do. A critical part of your response is to avoid jumping in to solve the problem. While it is natural to want to protect your child, helping them to find their own solution is a better option. It helps them feel they have some power in the situation. Visitbullyingnoway.gov.au to find some strategies. The website has tips and ideas for different bullying situations. One idea is to practise strategies at home to help your child feel more confident. Contactthe school. Your child may be reluctant for you to do this, so discuss the idea and reassure them that the school would want to know and is able to help. Make an appointment to meet with your child’s teacher and, if you need to, ask to talk with the principal. Contact the school immediately if you have a concern about your child’s safety. (At Lakes our Co-ordinators of Student Wellbeing deal with bullying: Mr Johns in the Junior School and Mrs MacLarty in the Senior School). Check in regularlywith your child. Keep the conversation going. It can take time to resolve issues, so check in regularly with your child about their experiences and their feelings. Your ongoing support is important. If you have concerns about the quality of uniform items, such as splitting at seams or other damage that you would not expect, please take them back to the uniform shop to claim your warranty. This also alerts Alinta to the issues and if there is a pattern becoming obvious they can take corrective action. Please remember that it is illegal to turn into the Junior School from any direction between 2.30pm and 4.00pm. You must drive up the hill to the Senior School entry, turn hard right after entering through the gate and drive down our internal link road. Stay in the left lane if you are going to Kiss and Go; drive in the right lane if you hope to find a parking space. Also note that, although many drivers do this, it is illegal to park on the grass outside the Junior School and some have been fined for doing so. Occasionally, police will sit outside the school to monitor adherence to these and other road rules. Recently some drivers were fined for turning into the school at the lights during the above time. Our very popular Easter Raffle is running. Raffle tickets have been sent home to K - 6. Senior families can pick a book up from senior reception. The P&F appreciate your support selling these to friends and family. Donations for the Easter prizes would also be appreciated by Friday, 5 April. The prizes will be drawn on Tuesday, 9 April. We appreciate all your efforts in raising money for our school community. Please bring a plate to share for morning tea (to the Junior School please). The world is no longer the same as it was a few weeks ago. On Friday, 15 March I remember sitting at my desk when my phone buzzed. It was a special news feed being sent in regards to the unfolding tragic events in Christchurch New Zealand. There is such a strong connection between our countries that it was like this horrific event was happening to us. Memories of Port Arthur flooded my mind and then my own personal memory of Year 12. You see, in Year 12 at my school, we had a situation where a student in Year 8 got hold of his dad’s gun and started shooting people at our athletics carnival. Two teachers and a student were shot before four of my mates crash tackled him to the ground. It is a moment in time that has left deep scars for so many, myself included. The horrors, perpetrated in Christchurch, took evil to a whole new level though. Being live-streamed across the internet as though it were a game of Fortnite, the people at prayer just avatars to be discarded echoes loudly the treatment of the Jewish people by the Nazis. Each time something like this happens I am immediately reminded of that day in 1991 at our school. On that Friday morning in the Senior School, Mrs MacLarty had shown the students a TED Talk that centred around the widespread ways that hate exists within our community. Everything from bullying at school to hate crimes such as would unfold only minutes later across the Tasman. The only way to stop the cycle of hatred is with love. Jesus knew it, Martin Luther King Jnr knew it, Mother Teresa knew it, Nelson Mandela knew it, I know it and I hope that you know this too. My prayer for us is that we can actually get to know people who are different to us so that we don’t allow prejudice to manifest itself in self-righteous ideology and hatred. I actually shared this thought in chapel in Senior School the day before the shootings. “To be known is to be loved and to be loved is to be known.” Take up this challenge today so that our children can see a hope for their future. It is in our hands! 2019 promises to be a very special Grandparents’ Day for families in Kindergarten to Year 2 classes. Detailed information regarding this day will be sent out to parents and caregivers shortly. A number of our students will give performances at the school for their grandparents which recognises the significant contribution that they make to their education and growth and to thank them for their wisdom, contribution and assistance. The day is a wonderful opportunity for grandchildren to celebrate their education with their grandparents and to recognise their contribution to the upbringing of the children. It will be wonderful to meet all of our grandparents and special friends on the day. We hope that many will join us on Friday 12 April. The day will commence with the K – 6 Easter Service in the School Hall at 9.15am, followed by the K – 2 Grandparents’ Day concert at 10.00am. You are asked to respond as requested in the invitation that will be sent. Please note that parking will be at a premium and that our school bus will help with transport between the Junior School and the Hall. Remember students are expected to arrive in the Junior School at the normal time to enable rolls to be marked before they walk to the Hall. It was a delight to see so many parents this week at the Parent-Teacher Interviews on Tuesday evening. 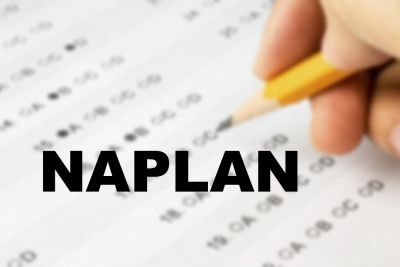 I would continue to encourage students to reflect on their goals for the year and performance to date in reviewing and setting goals for the remainder of the year in the context of their self-assessment and the feedback they have received from these interviews. Please remember that whilst these formal interviews give you the opportunity to discuss your child’s progress with their teacher, you are most welcome, and encouraged, to speak with your child’s teacher at any time throughout the year. The Term 1 Awards Assembly is fast approaching and will be held in the School Hall on Thursday 4 April, commencing at 1.30pm. In the event of wet weather, the Assembly will be rescheduled. Details will be placed on the Events Line (4393 4134) if necessary. 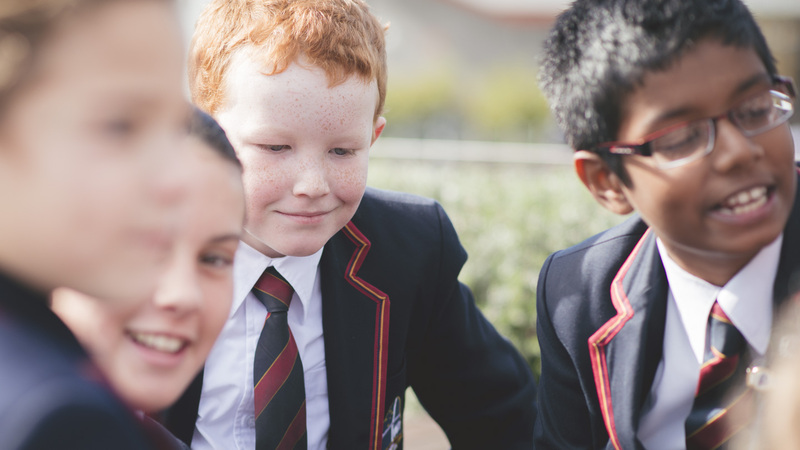 The Junior School collectively focuses on a Habit each week drawn from one of the three programs whilst concurrently working with students to develop a range of habits and capacities in the day to day life of the school. Cooper D, Grace S, Dylan F, Blake N, Elliot H, Maggie Y, Lachlan Y, Mackenzie A, Tanner H, Callum L, Lucas M, Lauryn H, Harrison W, Emma L, Oliver B, Gabriel D, Isaac D, Rhys F.
Alira W, Olivia H, Ivy H, Samantha O, Charlotte M, Cooper N, Riley A, Ayanna T, Willow S, Jada W, Max G, Addison K, Gemma R, Kaidyn H, Liam M, Elizaveta M, Savannah S, Grace O. It is not too late to register for this year’s challenge. Please return the registration form to the JUNIOR SCHOOL Library to get started. We currently have 160 students registered so far. A fantastic effort! Currently we have a wonderful display in the JUNIOR SCHOOL Library showcasing all the great books on different career choices for students. Students are also recording and displaying what they would like to be when they grow up. We have had everything from Design Engineers to Astro-Physicists! Students are enjoying this display. Congratulations to the whole Junior School in both weeks! We made our target! For our older students. Edutopia https://www.edutopia.org/article/4-step-process-building-student-resilience examines four key steps to enhance student resilience through students identifying and managing their own stressors and developing a sense of self-efficacy. The Junior School has introduced a new award into our award system. The Platinum Award. This initiative is in response to student, parent and teacher feedback around enabling Gold Awards to accumulate to a higher award. To receive their Platinum Award students will need to hand in five Gold Awards to the Co-ordinator of Student Wellbeing in the Junior School, Mr Johns. They may use Gold Awards from the previous two years 2017, 2018 as well as this year if they wish. This will provide our senior primary students the opportunity to receive a Platinum Award before they leave the Junior School. It is the children’s responsibility to keep their Gold Awards in a safe place ready to hand in. Students are able to receive one Platinum Award per year. The awards will be handed out at the end of Term Award Assembly every Term. The children need to hand in their Gold Awards to Mr Johns two weeks before the assembly for them to be processed. However, for this term, Term 1, please have them to Mr Johns by Thursday, 21 March. 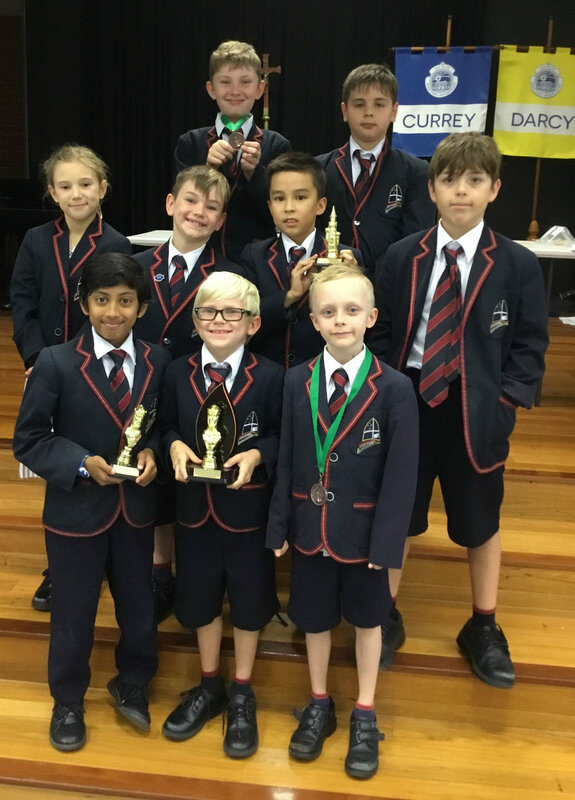 The Lakes Junior Chess Team placed first at the Bishop Tyrrell Interschool Chess challenge last Friday. Ayan Sarkar and Corey Englebrecht won all of their games and came first and second respectively in the tournament. Congratulations to all the students who attended, Jake Richards, Ayan Sarkar, Dexter Rodak, Zak Prica-Chamberlain, Corey Englebrecht, Carter Thomas, Willow Stuart, Taivas Harding, Callum Lightfoot and Marcus Wells. We now look forward to competing in the semi-finals event. 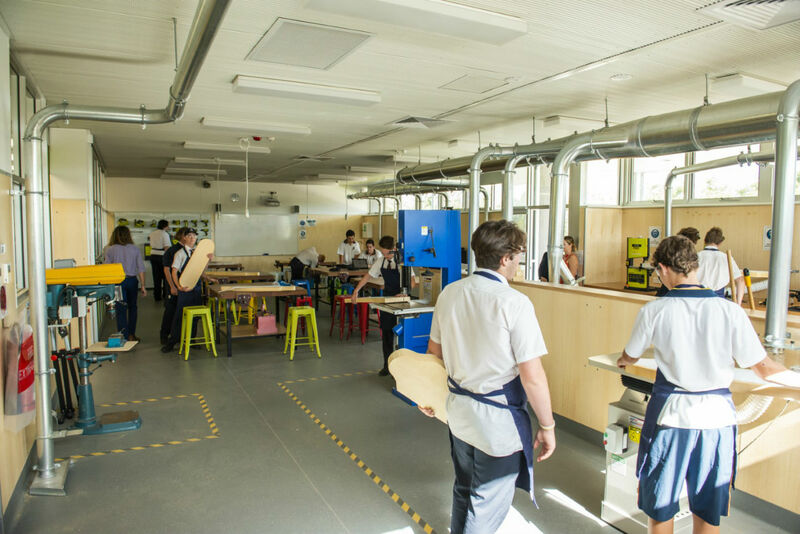 Last week saw the Technology and Applied Studies (TAS) Faculty officially open their new Design and Technology Workshop and STEM facilities. 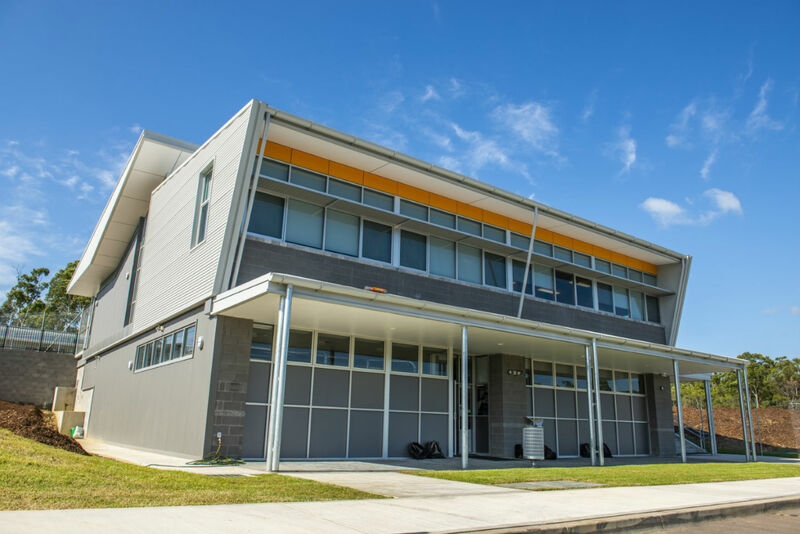 As the head of Technology I would like to thank and congratulate, the School Council, P&F, School Executives, Architects, Norths Construction, Teachers and Students of Lakes Grammar in the planning and coming together of this facility over the past 2 years. I would personally like to thank Mr. Rick Hampson who worked closely with myself and the Architects in designing our new workshop, procuring a grant from Ryobi and for sacrificing many hours in setting up the new Design and Technology workshop. I am thrilled to witness the learning that takes place within these facilities. Our new Design and Technology work space offers a user friendly, bright and comfortable space that provides students with a place where their creativity can come to life. The addition of a designated metal working space now provides our Senior Design & Technology Students with another medium to work with and a space where our Engineering Studies students can understand more about metals through practical activities. 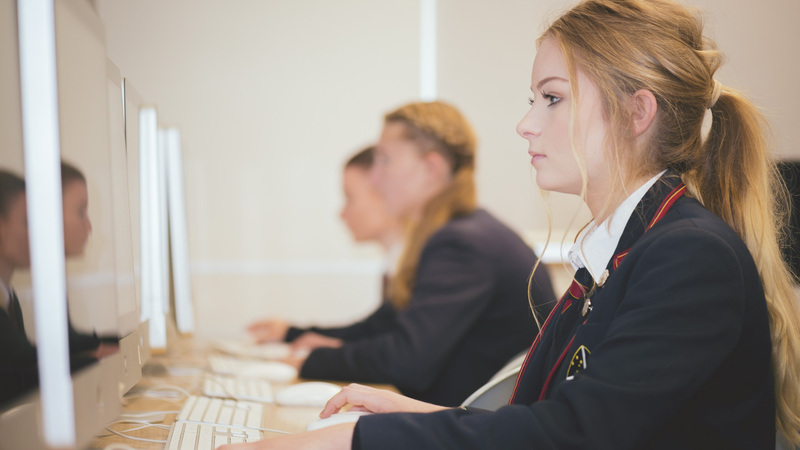 Our STEM space is the new home of our computer technology classes that run from Year 7 through to Year 12. 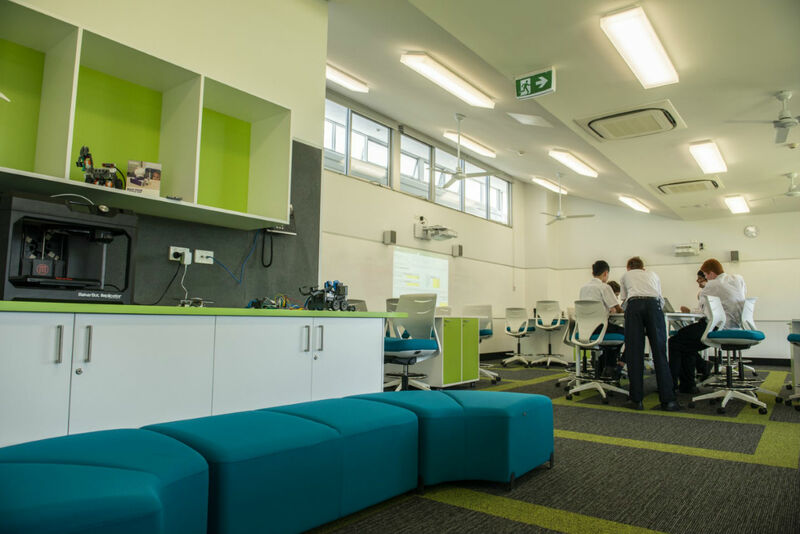 This expansive and dynamic classroom is designed for collaborative working and creative problem solving. Our staff are very excited about the possibilities this space brings to our teaching and student learning. 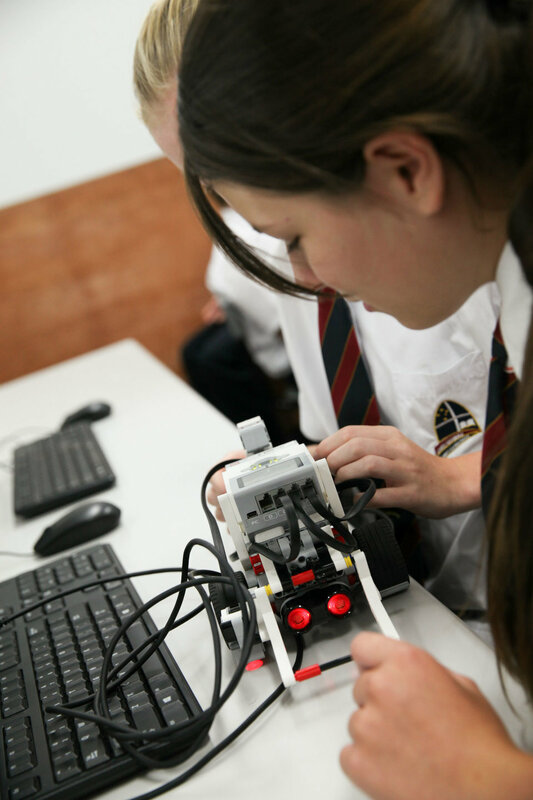 Our Year 7 students this week are being introduced to more advanced coding using Arduino. We are excited to see where this new technology is heading and how students may use it in later years as they become more familiar with coding and these types of technology. This year, Mrs Stibbard will continue to work as a mentor to Gifted and High Achiever students. 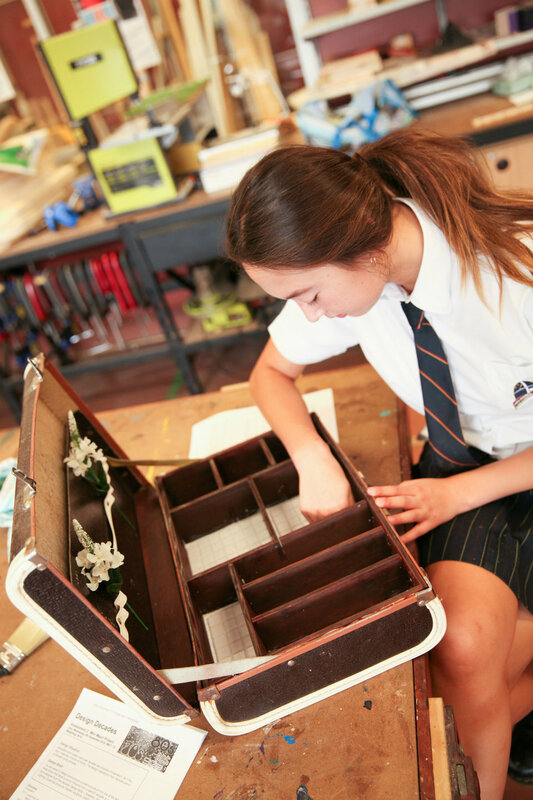 In addition to this, Years 7 – 10 students will be working on an enrichment program, which consists of developing and pursuing a personal interest project. 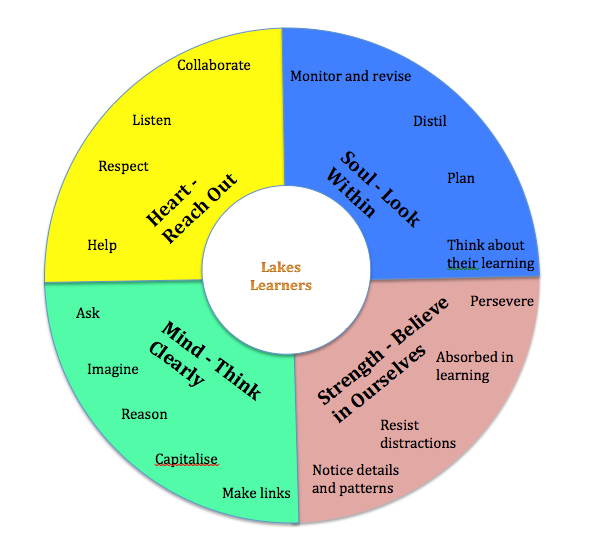 Please contact Mrs Stibbard via phone or email phoebe.stibbard@lakes.nsw.edu.au if you would like to discuss your already identified gifted child or would like to discuss your child who has demonstrated these traits and is unidentified. 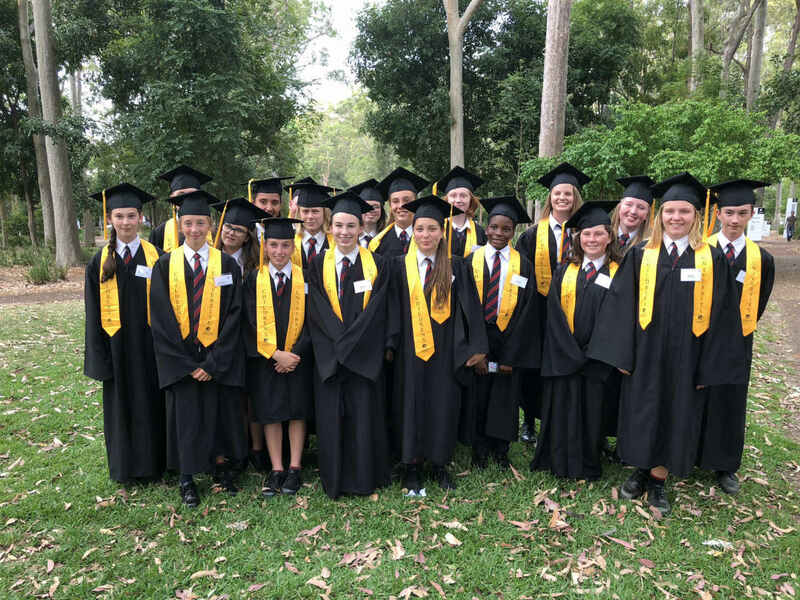 Students of Lakes Grammar are participating with children across Newcastle, the Lower Hunter; the Upper Hunter, the Central and Mid North Coast, to be a part of this exciting new education program. The concept of Children’s University (CU) is to recognise kids that find new areas of learning through discovering what educational events they can go to in their local area. Different levels of awards are given to students for learning time that occurs out of classroom hours: before school, during lunch, after school and at events in the school holidays. Children log this learning in a passport. Children’s University will be linking families to all educational opportunities in your local and regional communities, strengthening school clubs and linking community organisations to schools to allow opportunities for children to access exciting new learning events throughout the year. Chess at Bishop Tyrrell Anglican College last Friday, 15 March. It was a local heat for the Interschool Chess Challenge (Sydney Academy of Chess), and one of the largest competitions seen at BTAC with over 150 Chess boards set out for the day’s play, in their school hall. Robbie MacDonald did very well winning 5 out of 6 games and coming 5th place overall. Liam Baxter won 4/6 games, and everyone else won 3, or 3 and a stalemate. The Junior School won overall for the Primary section. The boys are all keen for the next competition – they want to qualify for the next round. And many thanks to Mrs Baxter for accompanying them for the day. To acknowledge and celebrate St Patrick’s Day, Sunday, 17 March, the library had a display of all the green books from the shelves. Mrs Nicholls was also seen getting into the spirit of all things green, and the staff celebrated with a small morning tea in the library. They also all received a lovely bookmark with an Irish Blessing on it. A big congratulations to the Lakes Grammar Junior School Swim Team for an outstanding result of third place at the HRIS Primary Swimming Championships. All students used their talent against some very strong competition and represented Lakes Grammar in an inspirational manner. A special mention and congratulations to Benjamin Ruzicka and the 9 Years Boys winning Age Champion titles. Well done! Congratulations to Benjamin Ruzicka, Hannah Ruzicka and Aaliyah Currie who will represent HRIS at the CIS Carnival in Homebush on Wednesday , 20 March. If any Year 5 / 6 boys are interested in joining the school AFL Team for the Paul Kelly cup, please see Mr Cantor to sign up. Training will begin shortly on Thursdays. 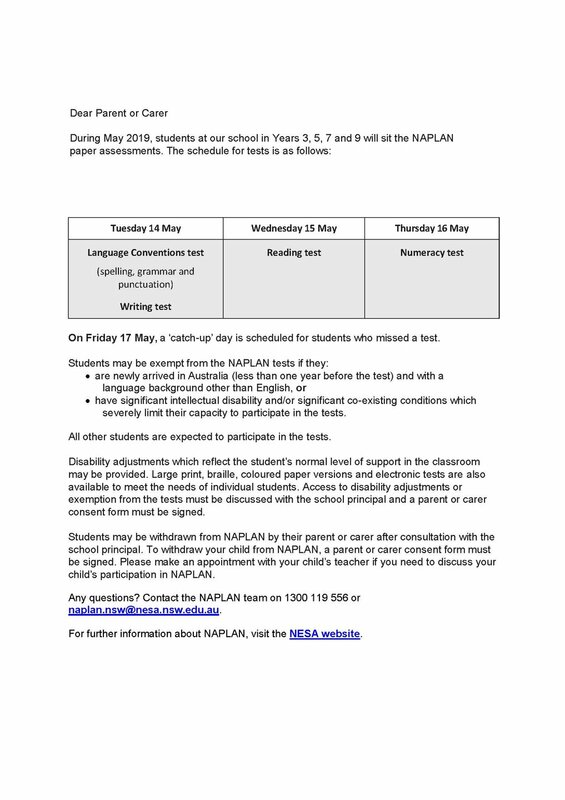 School trials for the respective Gala Days in Term 3, will be held in the next few weeks. The teams should be finalised by end of Term 1. This allows Term 2 to be the training times during normal 3-6 sport on Tuesdays. Please see Mr Cantor for more information. Congratulations to our school swim team which competed in the HRIS Division 2 Swimming Championships. A great team effort, with some excellent individual and team results. Our school team finished 3rd overall, we were crowned age group champions in the 16 boys and girls and the 17 and 18 boys age groups. Benjamin McKechnie, Aimee-Jane Strawbridge and Cameron Wong were awarded individual age champions and Tiah Vale broke the HRIS 16 girls 50m backstroke record. Tiah Vale, Aimee-Jane Strawbridge, Fox Smith, Charlotte Akhurst, Caitlyn Park and Samantha Livingstone have all been selected in the HRIS Swimming team which will compete at the AICES Swimming Championships on Tuesday, 26 March. We wish them all best of luck. Charlotte Tarleton and Charlotte Dobson were both selected in the HRIS 16 girls hockey team which competed at the AICES Hockey Championships. Both girls played in the barbarian’s side at the HRIS Hockey Gala day, playing extremely well and impressing the selectors. For Charlotte Dobson it was her second year being selected in this team but first year she has got to go on and compete at the AICES Hockey Championships. 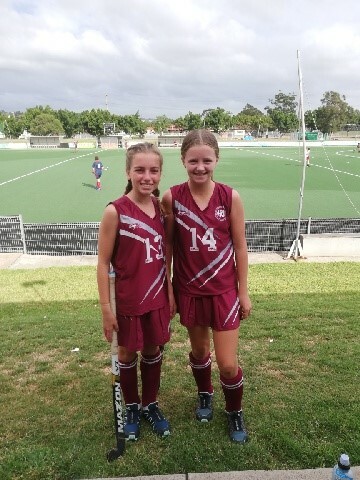 Both girls played extremely well against older students on the day and enjoyed the experience of playing school representative hockey. Being held on Friday, 22 March. This will be reported on in our next newsletter. Cross Country Training will continue on Thursdays and we would love to see you there. Meet at 3:30pm at Warnervale cricket nets. 14-year-old boys training is on during weekly sport time and is being run by Mitch Williams from Wyong Rugby League Club. This team will compete in the Central Coast Rugby League 9’s competition. Other age groups will compete later in the year at the CIS Rugby League Gala day. Both our Open boys and girls Football (Soccer) teams have been selected and have started training for the HRIS Gala Day early next term. Mr Willmott and Mr Hurst are coaching these teams. Our school Futsal teams have been selected and girls training is starting during lunch times on Tuesdays with Mr Hurst and Mr Beecroft. School Netball team trials are on Friday, 22 March during lunch time. A 14’s, 16’s and Open girls teams will be selected and will compete at both the HRIS and Central Coast All Schools gala days. We have had a number of students compete for selection in HRIS representative teams. I wish to inform you that our club President, Amanda Blackshaw, has recently resigned and our new club president is Belinda Henson. Belinda has taken on this role for the remainder of the 2019 season and will be your point of contact for any club matters for the 2019 season. Belinda is also continuing her club secretary role. The Lakes Grammar Netball Club has been a successful club for many years and has had some wonderful committee members throughout its life. However, at this point in time the committee is very low on numbers making it extremely difficult to run the club. Committee members now total 5. The committee has been low on numbers over the past several years and we are in desperate need of willing people who would like to help contribute to the running of our school club. Unfortunately, with such low committee member numbers the future of the club has been placed in jeopardy and the sad news is the club might not continue into future. New committee members are needed before the end of the 2019 season. So we are asking if you can contribute in this capacity please contact Belinda Henson or come along to our next committee meeting on Tuesday, 30 April at Lakes Grammar School, Junior Campus at 7.00pm. We are looking forward to another great season in 2019 and wish all of our teams best of luck. On a final note, we thank Amanda for the time and effort she has put into the netball club prior to being President and especially since taking on the role of President in 2018. We wish her well for the future. I will also take this opportunity to make a special thank you to Racquel Jolly who has served our netball club for over 10 years now! She has done a wonderful job in many different roles and has continued to help in many ways again this year. Both Amanda’s and Raquel’s expertise and support has been much appreciated by the school and netball club community. Thank you ladies, the club would not have been the success it has been without your commitment to the sport! 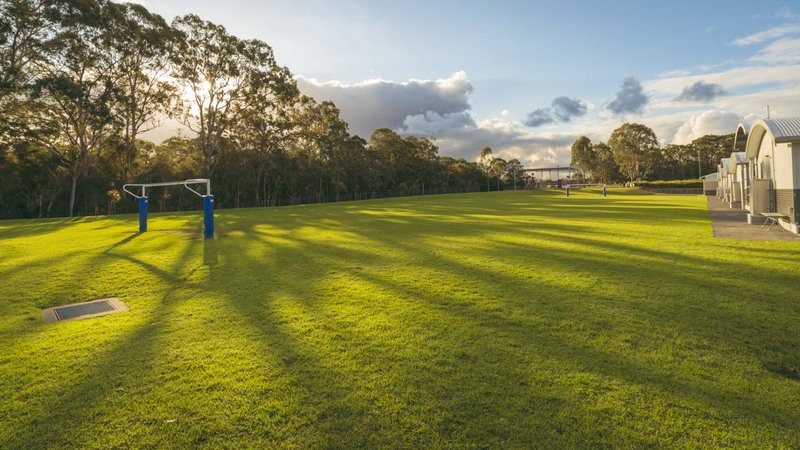 Warnervale Rugby club are looking to form a partnership with Lakes Grammar - An Anglican School and will assist wherever possible in the development of our rugby program. They have offered us access to on and off field equipment with training. To start the partnership, Warnervale Rugby Club would like to make available to the school 30 free Rugby Club registrations. These registrations will include full player gear as well as club polo. This is a great opportunity for our school and a partnership we look forward to building into the future.